Managing goods and keeping the in a systemic manner in traveling is must. Keeping goods arranged during travel facilitate the user searching for them. In addition to this, it also reduced the chances of missing goods. 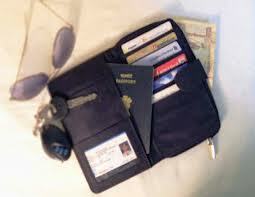 Travel organizer is designed for the same. This is high utility item manufactured to store the things at a single place during any journey. Jute travel organizer is an eco friendly organizer designed to keep the goods be it stationery item like pencil, pen, file, paper, etc. and any other item in an organized manner. Jute travel organizer made from jute fiber is made up of in various attractive styles, designs and patterns. It is available from simple designs and highly embellished ones. Jute travel organizers are available with varied adornments like gems, stones, mirrors, laces, crochet work, patch work, embroidery, painting and so on to make it more attractive. It is available in natural earthy tones to varied vibrant colors like red, pink, green, black, purple, etc. 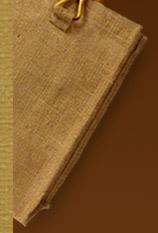 These colors are dyed and bleached on the jute to change it in enticing colors. A jute travel organizer is a perfect option to carry from one place to another as it is loaded with light in weight and handy features. It is so portable that it can be placed in any bag. Its looks are so different that catch the glimpse of onlookers. This highly durable and compact jute travel organizer for traveling purpose can be used by kids, young or adults. This bio degradable item can be easily decomposed after using without providing any kind of harm to the environment. It is highly strong and sturdy enabling user to use it for years to come. It is resistant to high wear and tear ensuring long lasting performance. This affordable jute travel organizer is resistant to fire, heat and abrasion adding value and life to it.